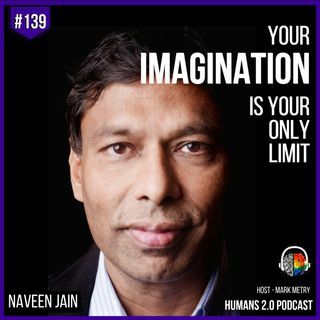 Naveen Jain is a Billionaire and philanthropist driven to solve the world's biggest challenges through innovation. A man who knows no limits, Naveen pushes big dreams into action, spurring massive cultural and technological change. His audacious vision and magnetic personality continually inspires others to follow what feels impossible. The founder of Viome, Moon Express, World Innovation Institute, iNome, TalentWise, Intelius, and Infospace, Naveen sees beyond the current business and ... Más informaciones technological landscape, creating companies that make a true impact. Naveen Jain's next endeavor is to travel to the moon, using lunar resources for innovation here on earth. Whether it's business or life, Naveen is guided by one firm belief – Our only limit is our imagination.